I am so darn happy about the ending of this book! But, I can't tell you why. You just have to read it. Lucy Quinn did an excellent job of creating a triangle. One that would have to eliminate one or both men. If Cookie can't choose, will she have to give up both Hunter, her former FBI partner who is always ready to back her when the bad guys need a real badge, not just the skills from a former agent? How about Dylan, the island handyman with a talent for much and a casual competence for whatever is needed? While Cookie is deciding there's a small thing like a body part landing in someone's spiked wine, a dead body, and a major theft ring. Oh, there is more going on. Cookie's mom has a whole ... better read about it. Besides I'd never want to spoil this one. A great read. Fast-paced, humor, danger, old and new characters, and a mystery as well as romance. In other words, it has it all. The best one yet! Don't miss it. I voluntarily reviewed this advanced reader copy and I have not been compensated in any way. Murder - Mystery and a Tangled Web of Hearts; humor, gripping suspense, chilling action, hot alpha men, and a few surprises lure you into this thrilling story. Cookie again finds herself on the hunt for a murderer; seems she just doesn't get a break since she and her mischievous loveable mom moved to Secret Seal Isle. 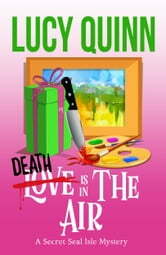 Hunter is back to help solve the mystery and he is trying his hardest to sway her to pick him as her one and only man. Dylan takes it easy with Cookie. His flirtatious innuendoes melt her heart but she still has not made the all-important decision of who she wants to be with. Loved this fast-paced impressive story as it had me laughing, a bit on edge, and turning pages to find out what happens next. The characters are certainly praise-worthy and the vivid descriptions are dynamic. I must say I was full of happiness at the end of this book. 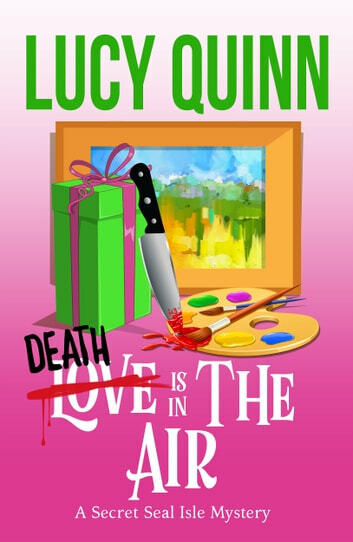 If you enjoy stories of romance with a murder mystery twist this is definitely a fantastic book for your library. I enjoyed this story so much, (I voluntarily reviewed an advanced copy.) Without reservations, I recommend this book.